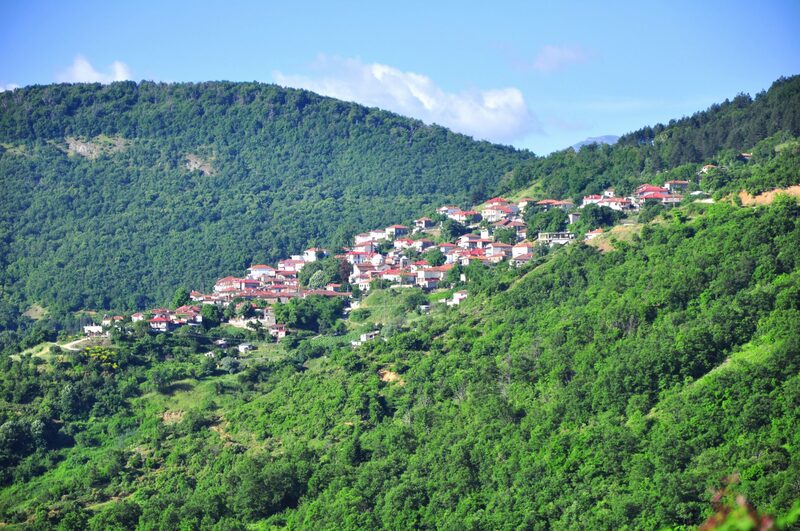 The village is located 22 km from Karditsa and from Morfovouni (seat of the Municipality of Plastiras Lake) just 2 km. This is a historic village and it is built amphitheatrically at an altitude of 700 m. It also has an endless view of the Thessalian plain. According to the 2011 Census the village has 459 residents. 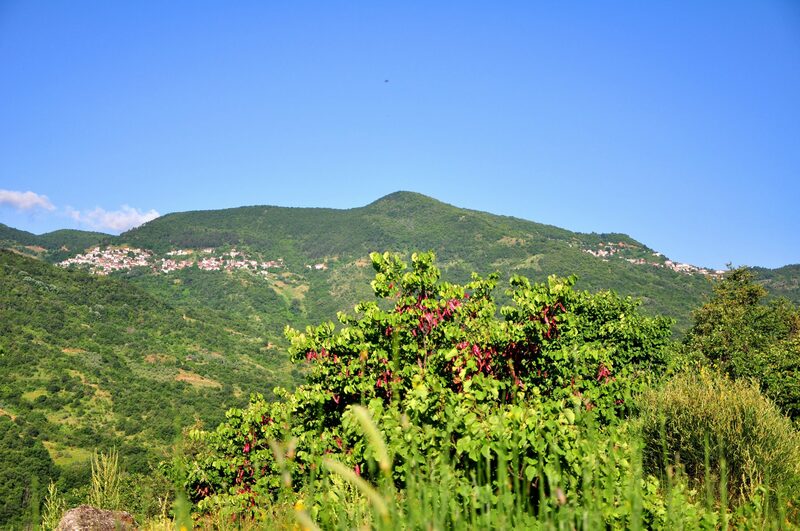 The main sources of inputs and the occupations of the inhabitants are the viniculture, the beekeeping, the arboris, the orchard, the livestock and the construction jobs. In the village there is a community house (recently renovated), traditional cafes, grocers and barbecues. More than thirty wine producers of the village offer fine wine and tsipouro to the hundreds of visitors and passers. In Mesenikola also there are modern bottling plants that belong to A. Karamitros and A. Kalamatas, with wines that are known in the wide area. The region and the entire Municipality of Plastiras Lake have a rich fauna and flora. Particularly it is worth to be mentioned the endemic plant Mesenicoliana Centaur that is one of the rarest in Greece. 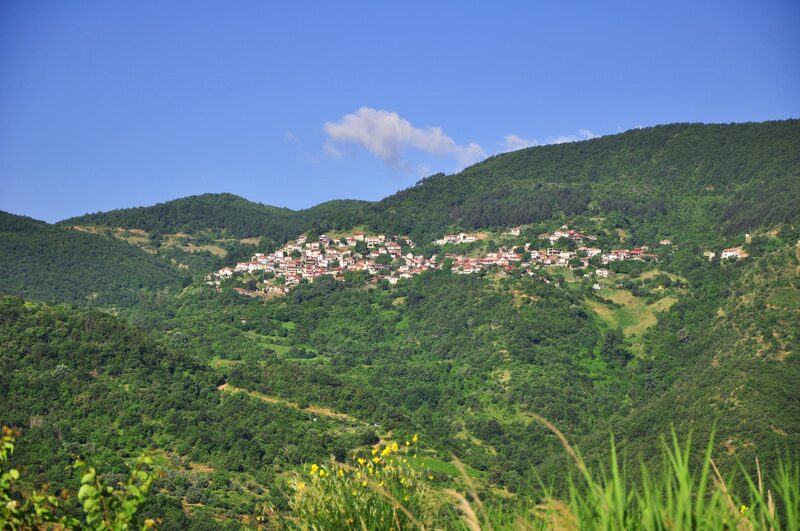 Mesenikolas was inhabited by natives of this region and by residents of the mountainous region of Agrafa. It has a long history and a rich tradition, too. In the first written testimony that is in 1454-55 it is refered as “Mosnikolas”. The rebellious residents of Agrafa were assembled in Mesenikola due to the revolution in 1878. They also redacted a proclamation (5 April 1878) and they set a temporary administration in Agrafa. The long history of village is also confirmed by the existence of ancient Roman graves at the place that is named “Plakes”, the small chapel of Virgin Mary of Life-giving Spring with the hagiography Hieromonks Samoyil’s murals (1647) which are just outside the villages and other monuments. The event for the Wine Festival takes place on a prominent position at the end of Mesenikola. There is also a footbal court with a well-preserved sod that is offered for the organisation of tournaments. At the museum of Vine and Wine that was created recently at the village with the initiative of the municipality of Plastira, an informal wine competition and other events (tastings, lectures on wine, etc) are carried out. Many producers take part in the contest by showcasing their products and the region. Every year in the mid-August, the Wine Festival is organised in a beautiful setting at “Kastanies”, a few hundred meters outside the village. At the three-day festival hundreds of visitors participate to whom is offered a rich cultural program and local wine for free. On the 4th-5th of September every year a fair is organized in the village square that is named “Pazaraki”. The “Pazaraki” continues the tradition of a commercial event with enormous significance for that period, which were organized in Aspra Litharia of Nevropoli before the creation of the lake. On the 5th of January every year the villagers revive the custom of “Rogkatsaria”. The contribution of the club of the people who come from Mesenikola but live in Athens to the cultural events of the village is important. The association publishes the newspaper that is entitled “Nevropoli” with folklore themes and varied local news. In the center of the village stands a magnificent church that is surrounded by perennial trees. It was built in 1903-1905. It is made of stone according to the Byzantine architecture. The stone is chipped technical and it is transferred by few animals and on the shoulders of the residents, according to the tradition. The church is dedicated to the Assumption of Holy Mary. It has a nice wooden temple, an ornate and overbearing pulpit and very beautiful pews that were donated by the residents. It has a wonderful and towering dome that illuminates the entire space of the church with lots of light. It is celebrated every year on the 15th of August. The period that the village is flooded by tourists is the summer. During those days the image of Holy Mary of Koroni is located in the village, which, according to an old custom, is carried from the Monastery of Korona to the village by the residents on their shoulders at a distance of about one hour. The reliquary that contains the skull of our local St. Seraphim is carried with the image of Holy Mary. In the past, the festival had a religious character. Since 1960 the villagers gave a secular character. The last years this celebration has been combined with the wine festival that takes place in the outer center which is located in the public way within 400 meters, before entering the village.